We supply and install heating, cooling and ventilation systems for commercial projects across Melbourne. We can control your indoor air quality with custom ventilation solutions. We work closely with schools, hospitals and aged care facilities to install and maintain top of the range heating and cooling systems. We collaborate to design systems that give maximum efficiency while maintaining the architectural integrity of the project. We fit your home with customised heating and cooling systems that suit your needs, and offer regular maintenance and support. We keep your business and workplace healthy with heating and cooling servicing, breakdown repairs and regular maintenance. We have successfully delivered commercial and residential projects to many happy customers. 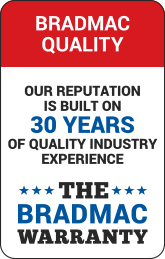 Established in 1987, Bradmac specialises in new installations, repairs and scheduled maintenance services of a wide range of heating and cooling systems for both the residential and commercial markets. 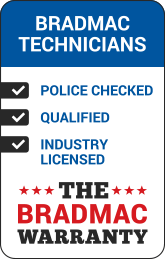 Bradmac Heating & Cooling is a ‘one stop shop’ provider for new installations, breakdown repairs, scheduled maintenance, ventilation, refrigeration and mechanical services. Our on-road technicians include plumbers, electricians and refrigeration mechanics. We install and service all brands and system models. Our installers hold all required trade tickets and licences and are certified with the Victorian Government’s Working with Children Checks and provide relevant compliance certificates at the completion of all works. Bradmac Heating & Cooling is also a member of the Seeley International Climate Masters Group that was established to assure consumers that all qualified installers are retrained twice a year on all Seeley International products. We are an Actron Air Platinum Dealer for Australia’s largest locally owned air conditioning manufacturer and we are also a Diamond Dealer for Mitsubishi Electric who is the most prestigious manufacturers of Air Conditioning systems in the world. Error: Error validating access token: Session has expired on Friday, 21-Dec-18 20:11:13 PST. The current time is Wednesday, 24-Apr-19 15:13:03 PDT.